The ULOW-E2 is Myson’s latest product innovation and another exciting addition to the ever growing range of modern, energy efficient heating solutions. 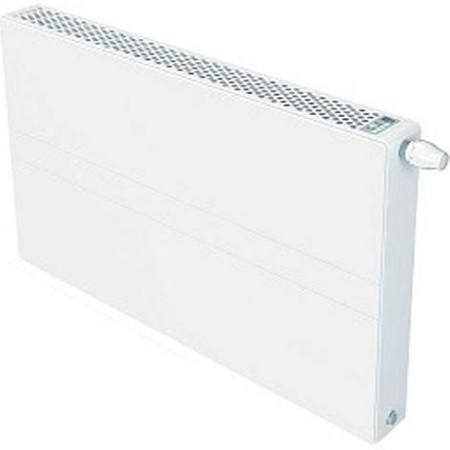 The ULOW-E2 is an innovative low water temperature radiator that has been combined with the latest heating technology. The result is an ultra unique heating concept that provides high heat outputs at low water temperatures without any compromise on style. 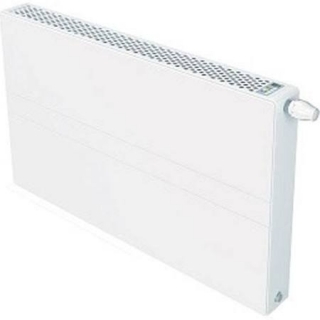 The ULOW-E2 is a panel radiator with in-built fans and E2 technology. The E2 technology automatically and intelligently controls operation of the in-built fans to ensure maximum performance. The ULOW-E2 has two operating modes - static and dynamic. Static mode is the most efficient way for the ULOW-E2 to operate, as it does not activate the in-built fans and will work like a traditional radiator with the TRV being the main control. Dynamic mode utilises the in-built fans. This mode may be required during winter months when the outside air temperature drops and additional output is required to maintain a comfortable indoor temperature. The intelligence behind the ULOW-E2 is that the fans will only operate when they are required.